BOY tackles HBT and identity based bullying. BOY junior is targeted to Year 5/6. BOY senior is targeted to Year 7 upwards. BOY’s story follows the journey of Joe and his three close friends as a seemingly harmless in-joke moves from ‘banter’ to something much more sinister after an incident at a party, resulting in a tragic escalation of events with life-changing consequences for all involved. The aim of BOY is to bring LGBT prejudice and bullying to the fore and to create safe spaces for all young people regardless of identity. BOY is interactive from beginning to end, where young people actively explore important issues relevant to them and ‘try out’ solutions in a safe atmosphere. 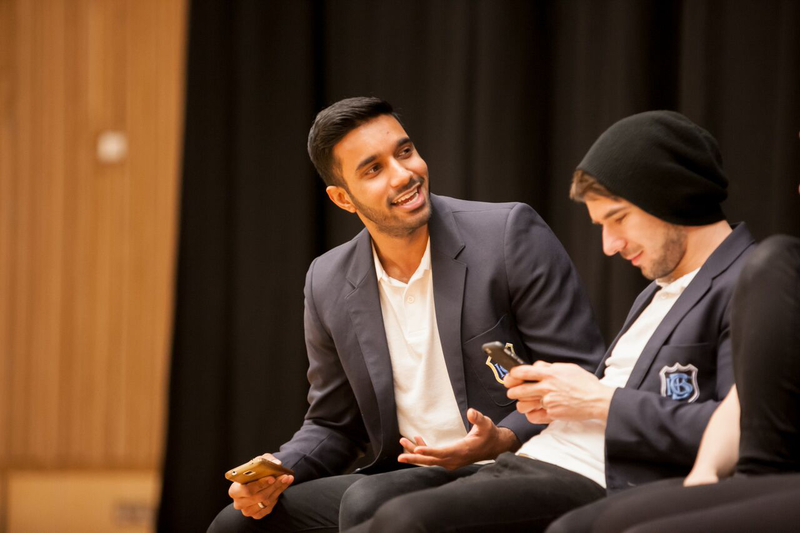 We inspire young people to develop strategies for understanding prejudice, successfully managing healthier relationships, creating ownership of their own behavioural choices and empowering embedded behavioural change through our interactive theatre experience. 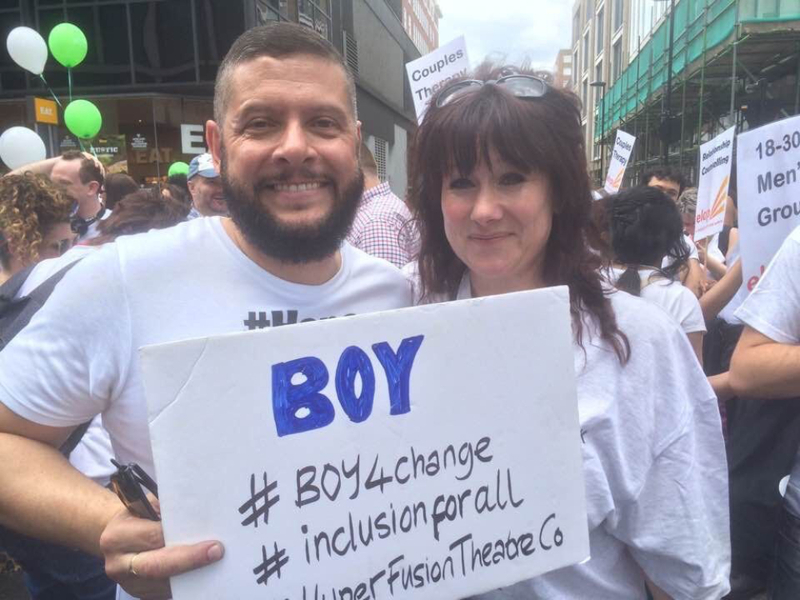 BOY – combatting HBT bullying going from strength to strength. BOY received funding from Southwark Council to pilot initial tour. BOY received £28,000 grant from Clinical Commissioning Group to tour BOY performance and Ambassador Programme. To date we have worked with over 4,000 young people in schools, colleges, special schools and religious schools and we aren’t stopping there. Launch and tour of the North East supported by Show Racism the Red Card due in 2019. Funding from Stevenage Community Trust deliver BOY. Performance in Parliament during Parliament Week Nov 2016 in collaboration with Parliout, their LGBT group. The show was attended by the LGBT group, politicans, members of Parliament and general public. It was very symbolic to be in the building that created Section 28! BOY invited by a West End producer to adapt the play into a West End musical. Watch this space! BOY invited to tour Australia October 2018. Evidence gathered from the BOY tour to Junior schools and Senior schools in Southwark include. After seeing BOY do you understand what homophobic language is? After seeing BOY do you understand what homophobic bullying is? After seeing BOY would you know how to help a friend/person who was being bullied? After seeing BOY do you know where to go for help if you are being bullied? 67% said yes. Noticing the difference between knowing where to go if someone else is getting bullied and if you yourself are getting bullied has been noted. We are going to work into the play what we can do about the difference. Initial thoughts are perhaps it’s one thing to know where to go for help but doing it still feels a different thing. We still have more work to do. We have also extended the BOY experience to include an Ambassador Programme. Post show, this 3 day programme explores ‘tools for change’ with 30 targeted young people. Emotional and mental health, emotional intelligence, self-esteem and exploration of identity based prejudice empowers young people to share the BOY legacy by becoming authentic leaders committed to accelerating change by creating their own theatre piece for change in their own organisations. Ambassadors are encouraged to share the final product with peers, parents/carers, staff, school leaders and governors. Parliament performance during Parliament Week Nov 2016 in collaboration with Parliout. funding from Clinical Commissioning Group NHS, Southwark Council and Stevenage Community Trust. Invited to adapt the play for the West End. Touring London, Essex, Herts, Cambs, North East, Brighton and beyond. Our aim is to create safe spaces for all young people regardless of identity. We know you want to meet your statutory obligations with respect to the Equalities Act 2010 and current OFSTED requirements with regard to homophobic and transphobic bullying, so let us inspire your young people to develop strategies for understanding prejudice, successfully managing healthier relationships, creating ownership of their own behavioural choices and empowering embedded behavioural change through our interactive theatre experience.